Ice Cream & Great Treats! 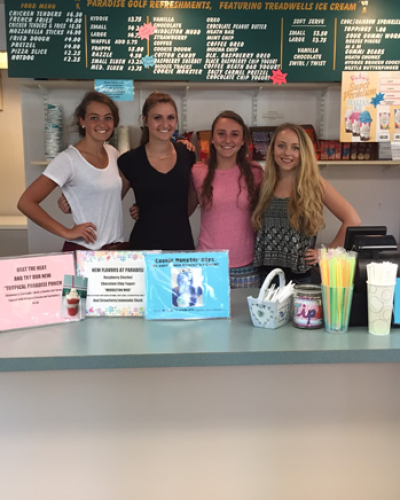 Featuring Treadwell’s Ice Cream, Richie’s Slush and Soft Serve Ice Cream! 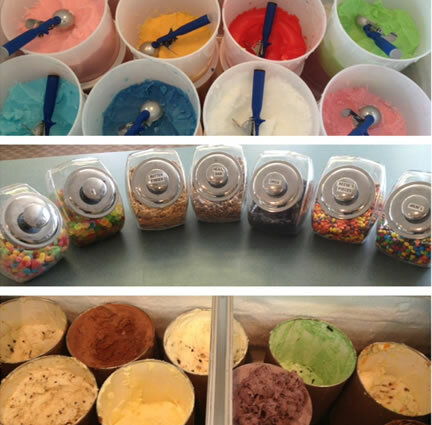 Our ice cream counter has something for everyone in your group. 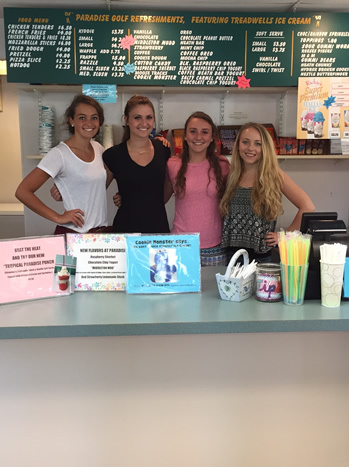 We have 20 flavors of Russ Treadwell’s locally made ice cream and frozen yogurt, 8 flavors of Richie’s Slush and soft serve ice cream. We have lots of fun toppings and monthly specials at the ice cream counter.The generous portions of our ice creams guarantee that you won’t leave Paradise hungry. If you are looking for a quick bite to eat, we NOW OFFER Chicken Fingers, French Fries, Mozzarella Sticks, Pretzels, Fried Dough, Hot dogs, Pizza, Cold Drinks and snacks. 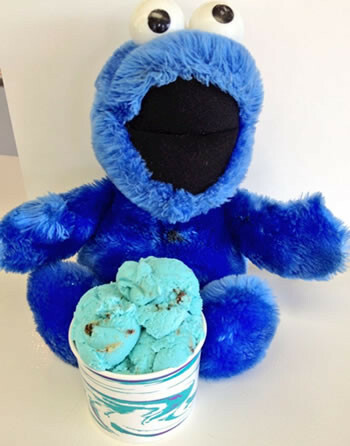 Check out our SPECIAL Ice Cream Treats! We are open 7 days a week from 8am-10pm. I really enjoyed my time. The ice cream was delicious. It’s a hidden gem – fun mini golf, nice landscaping, delicious ice cream! Very nice for a family outing. Good level of challenge for children. Yummy slushy! Great golf & awesome ice cream. Very friendly staff! Love it! Nice course and great ice cream. Fun and well maintained. Nice friendly staff, generous servings of ice cream! Amazing! P. S. Love your ice cream! Beautiful miniature golf course and delicious ice cream! The kids love it, and I love the ice cream! Host Your Party at Paradise! Looking for a great place to host your next birthday party, group function or fundraising event? Birthday parties and special events are always a blast at Paradise Family Golf! Call 978-750-4653 for more information! 2 for 1 Weekday Morning Bucket Specials! Click Here to learn more about our Discounts and Specials!